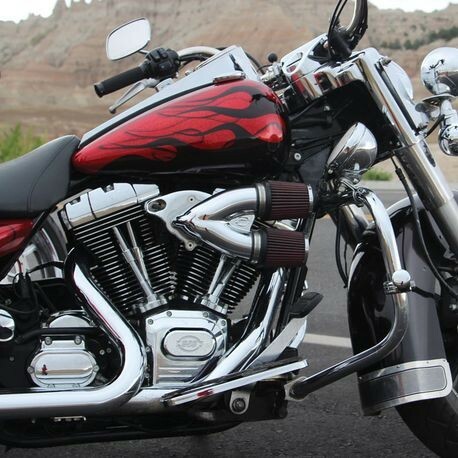 This S&S® single bore tuned induction kit fits 1984-'99 HD® big twins and S&S® engines with stock style head breathing and an S&S® Super E or G Carburetor. 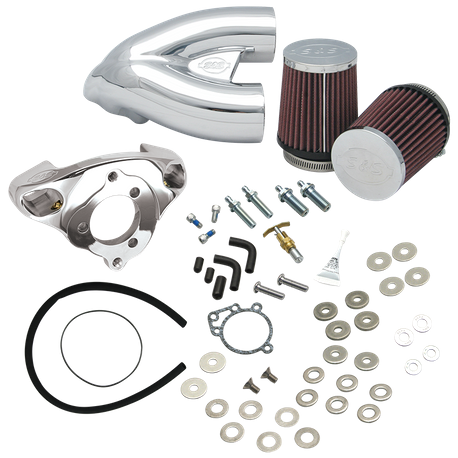 Bolt-on performance – over twice the filtering area over stock intake system. Increases horsepower and torque across the rpm range using air column inertia and carefully timed gas dynamic pressure waves. 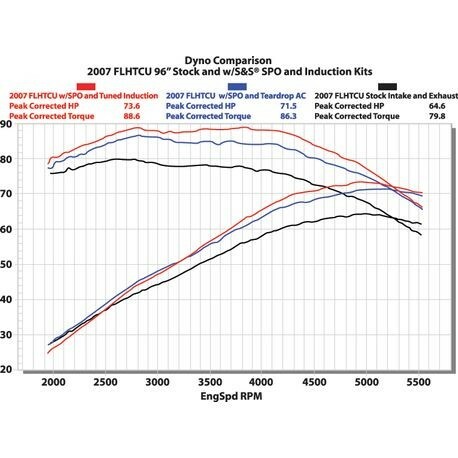 Smooth intake tract of carefully selected tuned lengths increases performance. High flow washable and reusable cotton media provides performance, protection, and economy. A performance intake is a must to get the most out of performance exhaust, cams, big bore or stroker kits. Kit includes, aircleaner backplate, pleated, washable filter element, chrome plated aluminum teardrop cover, all required hardware, and instructions. Show quality chrome finish.